More and more slots are becoming available for mobile devices, both free games and those that allow player to win real money. Many of these games are truly excellent but as always there are a few that stand out from the crowd for one reason or another. 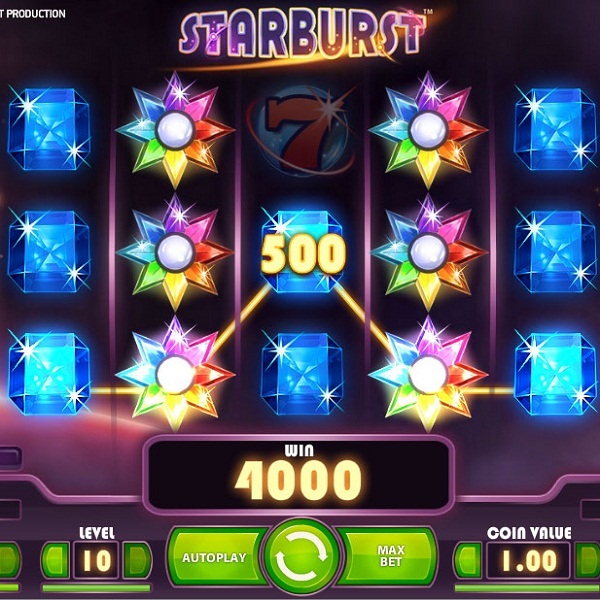 Starburst slot, from NetEnt, has to be one of the best around. One reason for this is just because it looks fantastic, it sparkles onscreen and really looks alive on the latest mobile devices. Not only that, but it has been well designed for mobile so that the controls make it very easy to play. The game also has some nice features, for instance if a wild appears on reels 2, 3 or 4 it will turn the whole reel wild and trigger a re-spin. Furthermore, the game has two way wins and a maximum payout of 50,000 coins. Another excellent mobile slot is 300 Shields from NextGen Gaming. The game, which is built upon a battle theme, has some stunning graphics which really brings the slot to life. The slot features a free spins round where it is possible to receive a multiplier of up to 300x and hit the jackpot of 300,000 coins. However, those that are after the really big wins should definitely check out Mega Moolah slots. The game is linked to four progressive jackpots and one of them is nearly always in the millions. The game is also nicely designed but the focus of this slot is definitely the progressive jackpots. Nonetheless, it does have a standard jackpot of 225,000 coins up for grabs as well so there are multiple chances for a really big win. The progressives are won through randomly triggered bonuses but the larger yours bets the better chance you have of winning one of the jackpots. Furthermore, the game offers wild symbols and free spins complete with multipliers. One of the most popular mobile slots is Golden Goddess from IGT. This is because it is excellent for those that don’t like taking large risks. The game features stacked symbols and on each spin it is highly likely that a stacked symbol will appear and this really helps keep the wins coming in. While the slot doesn’t offer massive wins like some others, it is a truly entertaining game and is sure to keep players happy without decimating their bank balance. Finally Energoonz is a mobile slot that is often overlooked. The slot tends to pay out fairly small amounts, but it is extremely entertaining as it features a variety of cute aliens and they have some excellent sound effects. The game is played on a 5×5 grid and when three or more of the same symbols land touching each other they disappear and are replaced with more symbols creating the chance of additional wins. Furthermore, each successive win comes with a larger multiplier and there is a jackpot of 40,000 coins up for grabs.